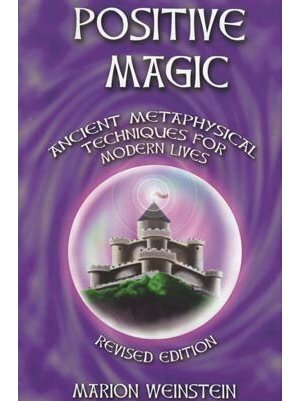 This is the complete new version of Positive Magic, the classic compendium of magic for personal use that has been a popular favorite for more than 25 years. With updates of Wiccan history, philosophy, tools, and techniques, it also contains a wealth of entirely new material. Addressing the needs of today's readers -- beginners and adepts alike -- this edition explores new territory which includes: channeling, spirit contact, dealing with the future as well as the past, and the connection between quantum physics and traditional magic. A rare gem. One of the only magical self-help books that is beautiful, moral, and wise. Marion's methods of working have greatly influenced my life.-Margot Adler, author of Drawing Down the Moon Well written and fascinating, Positive Magic is a book you must read and keep by your side. Weinstein explains what you need to know and does it in a way that keeps you all the way through. An intelligent approach to using magic in your life.-Merlin Stone, author of When God Was a Woman and Ancient Mirrors of Womanhood. Marion Winstein's book is amazingly practical, helpful, knowledgeable, sensible, and easy to understand. Reading it makes you aware of powers you probably never knew you had, and what's more it tells you precisely how to use them.-Dan Greenburg, author of 55 books, including How to Be a Jewish Mother Written by one of America's Witch elders, this revised and expanded edition of this beloved classic can enrich the spiritual practice eof long time practitioners as well as those beginning their explorations of magical realms. -Selena Fox, High priestess, Circle Sanctuary, Psychotherapist, and Shamanic Healer. This is a 301 page softcover book.